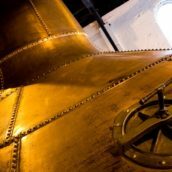 It’s a matter of record that I’m a huge fan of Irish Distillers, as evidenced by all manner of embarrassing fanboy gushing across the virtual pages of this blog. I was obviously over the moon, then, when I heard that the long-rumoured Redbreast 21yo was to become a reality. D) Redbreast in particular is probably the greatest of them all. I was privileged to be asked along to the press launch in the basement of London’s fancy Dabbous restaurant, where Midleton’s Master Blender Billy Leighton took us through the full range and introduced the 21 year old. Some info about Redbreast and the creation of the 21yo first. The Redbreast brand has existed since 1903, when the Jameson distillery, located in Dublin’s Bow Street, began supplying new make whiskey in bulk to the Irish branch of Gilbey’s wine & spirits merchants. Gilbey’s, being an importer of various types of wines, already had a ready supply of good quality casks, which would be sent to the Bow St. distillery to be filled and returned for maturation in Gilbey’s warehouses. According to Irish Distillers, the then managing director of Gilbey’s was a keen ornithologist and named three of the company’s Irish whiskeys after birds: Chaffinch, Yellowhammer and Redbreast. However, the Redbreast brand suffered when the Irish whiskey category fell on hard times and about forty years ago the contract to supply Gilbey’s was terminated with the closure of the Bow St distillery in 1971. Gilbey’s continued to bottle their aged stocks, but the whiskey wasn’t great and by the mid-1980s the brand was moribund, and in danger of disappearing completely. 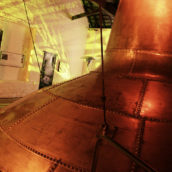 Thankfully, in 1991 the Redbreast brand was revived by Midleton and, along with stablemate Green Spot, Redbreast 12 year old kept the endangered pot still Irish whiskey category alive, for which Irish Distillers, and particularly the recently-retired Midleton Master Distiller Barry Crockett, deserve great credit. Under new ownership after the Pernod Ricard takeover, Midleton has been at the forefront of the wonderfully revitalised Irish whiskey scene in recent years. Redbreast’s popularity reached a tipping point a few years ago with its appearance on the shelves of the better UK supermarkets, with the brand’s signature judiciously-sherried style winning over an ever-growing army of fans. New line extensions have followed, with the 15 year old, originally a one-off special for a French retailer, being added to the permanent range in 2010 and the extraordinary 12 year old cask strength launched at the end of 2011 to rapturous acclaim from all quarters. In other words, this new Redbreast 21 year old had a lot to live up to. Billy told us that it’s a pretty small run, a mix of light and heavy potstill spirit and that some of the casks used were up to 28 years old. 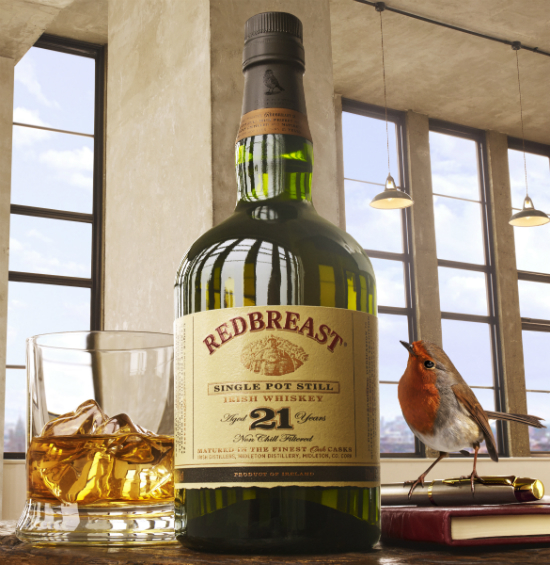 In common with the 15 year old, Redbreast 21yo is bottled at the higher strength of 46%. Nose: Wonderful notes of almond, blackcurrant and autumn leaves, with lightly-singed melon and fresh ginger. A coppery note, with chamois leather and classic sherried raisin notes, plus flapjacks and syrup hints. Further notes of bramble, tweed and old orange liqueur. Palate: Unctuous, deep and silky-smooth, with bramble berries and copper to the fore. Develops raisin syrup, porridge, apple pie and hints of clove, cinnamon and wood glue. The sherry shows well without being dominant and the spicy pot still character is present but more restrained than in the exuberant 12 year old. Finish: Long, warming, honey and raisin with the spices lingering. Comment: Absolutely wonderful. It’s a premium price-bracket (not sure how much it will be here, but in Ireland the RRP is 180 euros), but the liquid more than justifies the cost. It’s not for everyone at that price, of course, but those of us who can’t afford it (and I include myself, regretfully, in that number) have the more than adequate consolation of the everyday brilliance on display in the standard 12yo, 15yo and cask strength editions. Many thanks to Irish Distillers for inviting me to the launch, and special mention to Dabbous, who not only supplied their stylish, atmospheric basement barspace, but also some delicious nibbles throughout the presentation. I couldn’t have hoped for a better dram to finish on – for this is my valedictory tasting note. After ten years at TWE, five of which I’ve been blethering nonsense on this blog, I’m moving on to pastures new. I’d like to say a sincere and heartfelt thanks, both to The Whisky Exchange and to all the readers who have taken the time to visit this blog and read my scribblings, and I leave with many fond memories and the certain knowledge that things can only get better under the stewardship of my erstwhile colleagues Billy and Rocky. 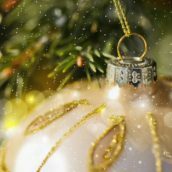 @TWEBlog @TimFFS Thanks Tim, have enjoyed reading your blogs… All the best with your future endeavours! Godspeed, Tim F, your words have not been met with silence. @TWEBlog @TimFFS Tim, it has been an education. Best of luck with whatever comes your way.